Before I started blogging I was very much a one blusher girl. Many years ago I found a shade that I liked and I stuck with it, purchasing the same shade again whenever it ran out. When my shade of choice was discontinued I was completely lost and from then on I set out searching for my new perfect shade. I was still a one blusher at a time girl unless I really didn’t like the shade I’d chosen in which case I’d throw it away and pick up another one to try. I think I am currently up to six blushers (oh and I’ve just won a couple more! ), which may be hardly any compared to some bloggers, but for me is loads! 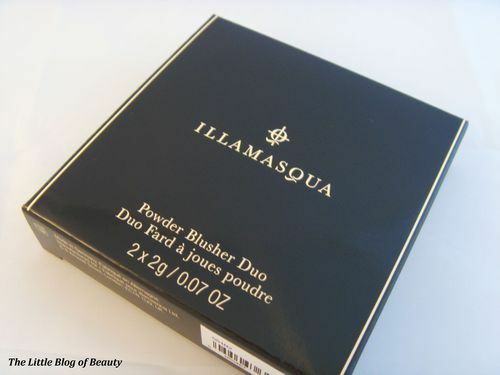 One of my favourites out of my new additions is definitely my Illamasqua Powder Blush Duo. 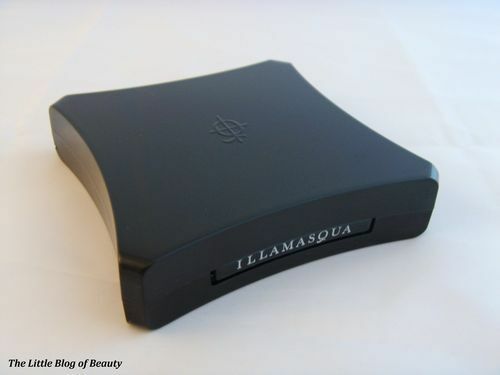 I just love Illamasqua’s sleek simple black packaging. Illamasqua’s founder Julian Kynaston held a Twitter Q&A a few days ago and I asked him whether there was any inspiration behind the packaging. He confirmed that this was inspired by the art deco movement from 1920’s Berlin; the shape and piano black colour is representative of this. The only downside of the packaging for me is that it’s glossy and so shows up every fingerprint and spec of dust or fluff, but that’s just my perfectionism! It’s also slightly on the large size if you intend to carry this around with you or travel with it. 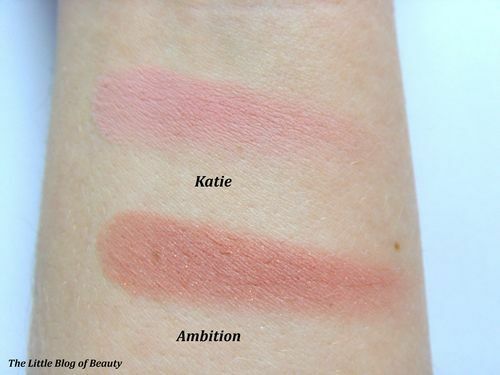 Both are matte powder blushes with Katie being a candy pink and Ambition described as a neutral. 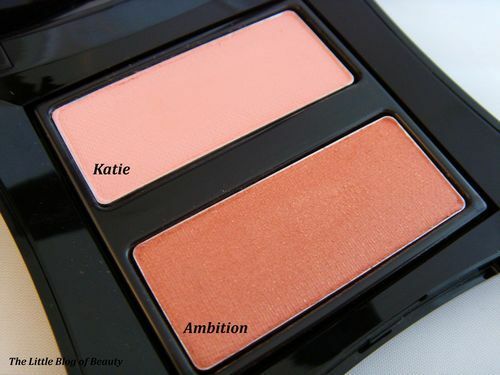 I believe the idea is that Ambition is used to contour and Katie used as a blusher. My makeup skills are pretty pour and I certainly haven’t mastered the art of contouring so I just use both of these as a blush picking whichever shade I fancy using that day. These are really pigmented so you need a light hand to begin with but can build them up for a more dramatic look. They also both have a really lovely slight candy powdery kind of smell. Ambition does contain glitter which I was a little unsure about but once this is on I don’t really notice it. 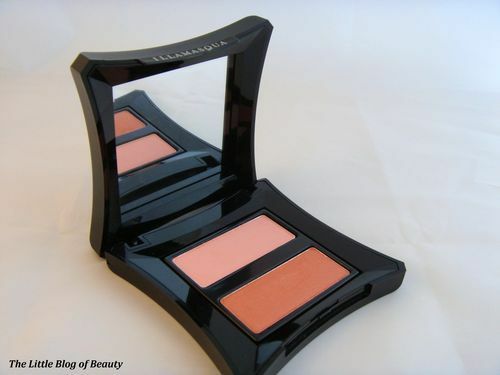 I’m not entirety sure exactly how long these last as I’ve kind of forgotten to check but I know that Illamasqua blushes are known amongst their blogging fans for their staying power. 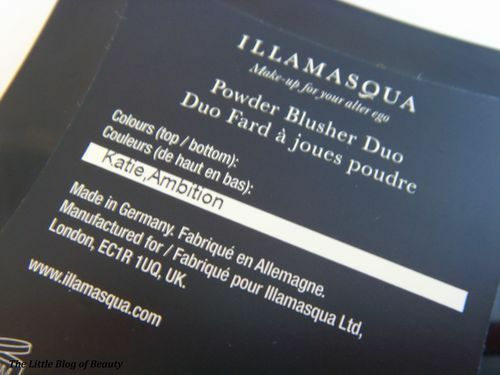 The Illamasqua Powder Blush Duo in Katie and Ambition is £26 and is available from the Illamasqua website.